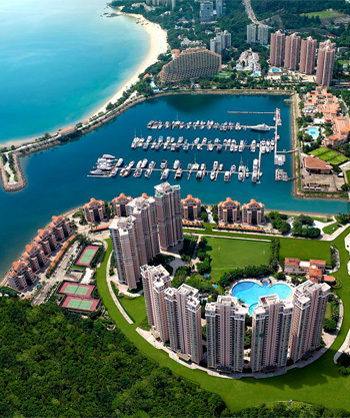 Price (tour and dinner): 75€ or 85USD per person (we only accept this two currencies). 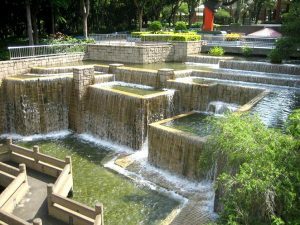 The tour will depart from the Lingnan University. 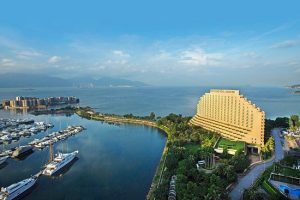 With this social event, you will have the opportunity to explore some of the Hong Kong following attractions. 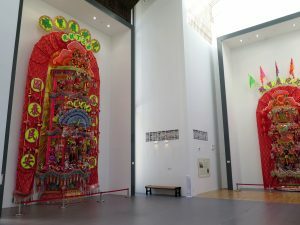 – The Hau Kok Tin Hau Temple and The Fa Pau Exhibition Hall. 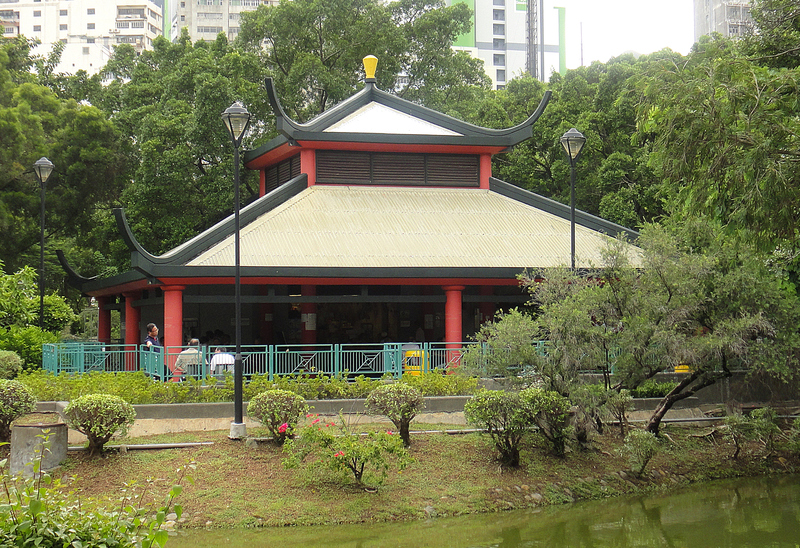 The temple stands by the Tuen Mun River Channel. 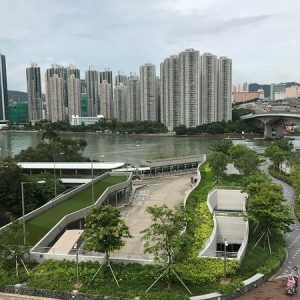 In the ancient times, being a center of waterway transport, Tuen Mun attracted fishermen’s communities. 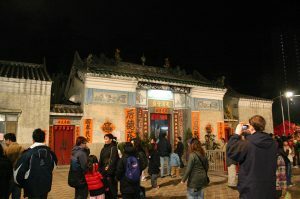 They wished to enjoy the protection and blessings of the heavenly goddess Tin Hau (known also as Mazu – the Goddess of the Sea) and built a temple at Hau Kok in Tuen Mun Kau Hui (Tuen Mun Old Market) in 1637 to worship her and pray for safety. 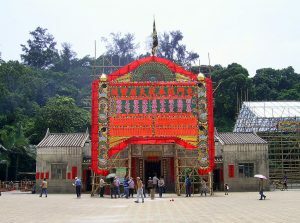 The fishermens ask for protection from their boats, by passing a few hundred meters from a Tin Hau temple, and performing three figures of eight. 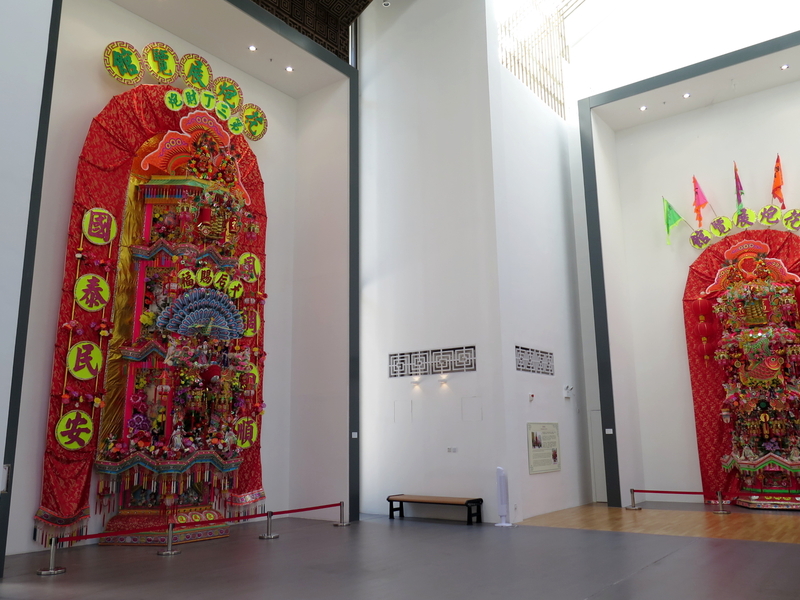 In the Fa Pau Exhibition Hall, you will have the opportunity to see the Fa Pau ritual tower made up of one to eight tiers. 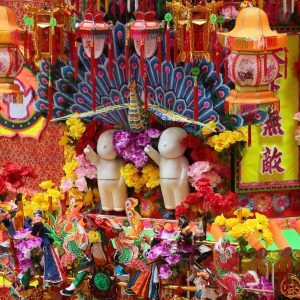 Fa Pau are beautiful towers adorned with paper floral tributes and are unique during the Tin Hau Festival to honor the Goddess of the Sea. – The Tuen Mun Park, formerly known as Tuen Mun Town Park, is located in Tuen Mun (or Castle Peak is a city near the mouth of Tuen Mun River and Castle Peak Bay). 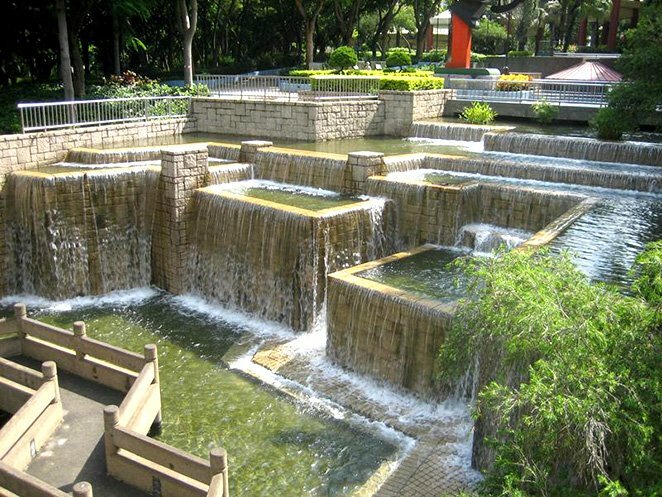 Tuen Mun Park is the largest town park in the New Territories, Hong Kong, covering 12.5 hectares (31 acres). The park provides a restful place with mass of greenery to the residents of Tuen Mun as well as visitors over the territory. 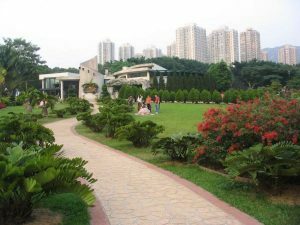 There are about 1500 trees and 100 000 shrubs of about 200 various species planted in the park. 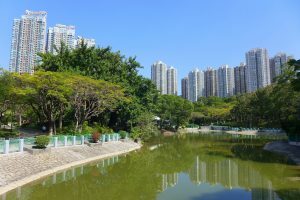 Apart from the landscape features and beautiful environment that make one feel cheerful and relaxed, the park has an artificial lake occupying an area of about 1 hectare. 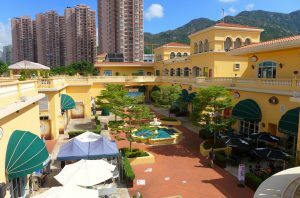 – The Hong Kong Gold Coast is a private housing estate served by Castle Peak Road, near Castle Peak Bay, in So Kwun Wat, Tuen Mun, New Territories, Hong Kong. 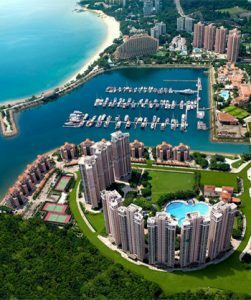 It includes 20 residential buildings, a resort hotel, a shopping mall, a yacht and country club, a marina and a beach. 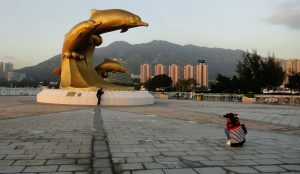 The Golden Beach is the largest public beach in Tuen Mun and the first artificial beach in Hong Kong. 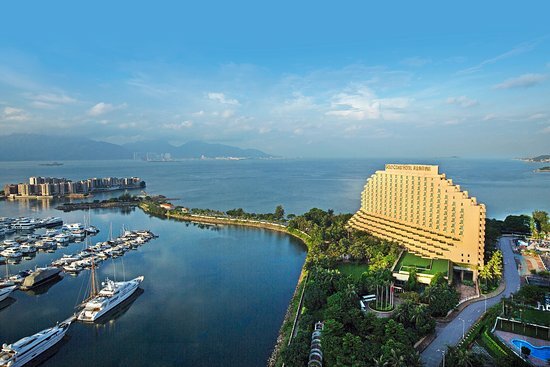 Tropical trees, like coconut, and flowers of various species are planted on both sides of a 480-metre long promenade running parallel to it. 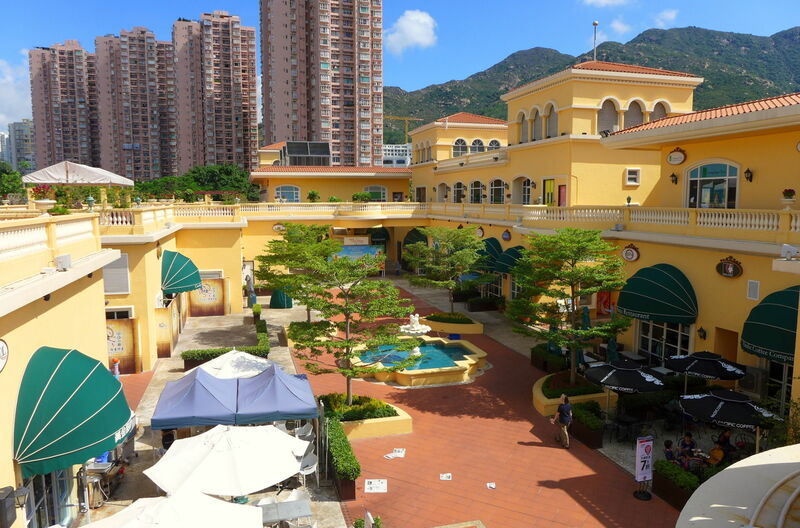 The tour will end at the Maritime Square, the first shopping mall in Hong Kong to adopt an ocean theme. 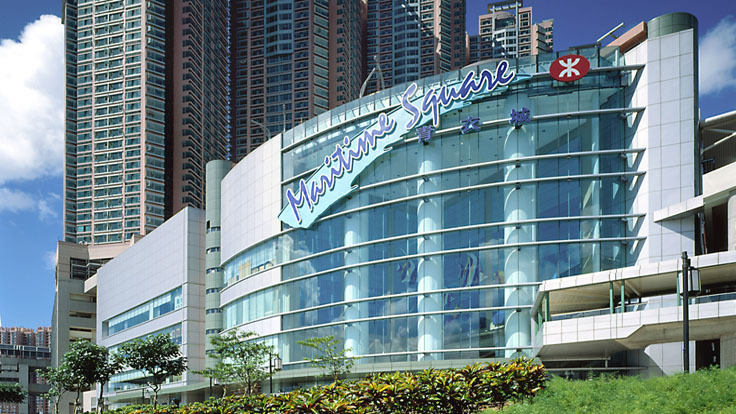 Maritime Square is a major connection between various tourism highlights in Hong Kong, bringing delightful sensation to a relaxing weekend. 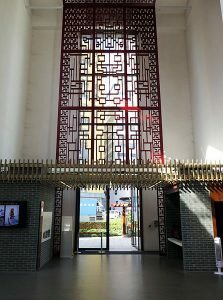 Here, the dinner will be served at a Chinese Restaurant in the dinning area of the mall.